For over 35 years, Principal Patrick Burke, AIA has led Michael Graves Architecture & Design to create unique hospitality experiences for hotel operators and travelers around the globe, in Asia, Europe, the U.S. and the Middle East. As the hospitality industry has shifted — from making travelers feel at home while away to providing more dynamic experiences — boutique hotels have evolved to create hyper-local, immersive environments. Our firm has both witnessed and contributed to this movement. More and more, I am convinced that authentic character that draws on the local physical and social context is a key ingredient in creating compelling hospitality experiences. Valuing the local environment also supports our ever-increasing emphasis on wellness and sustainability. Interesting guest experiences continue to drive hotel trends. We’ve seen this for years in the food industry as our everyday encounters with food have become wider and more global. Food and beverages that were once sought-out specialties are now widespread. The experience became more than the coffee, the croissant or the sushi, hence the coffee shop, the patisserie, the sushi bar. They are remembered as places, specially designed places that stimulate the senses. Our firm, like some other designers in the hospitality field, has been working for years on reimagining and customizing guest experiences. Despite all that’s changed, we have consistently found that savvy travelers value memorable experiences unique to the places they visit. They value destinations that embody a sense of place and resonate with history, the environment, and local culture and cuisine. What differentiates these places is the power of architecture and design to create experience. This expectation of having an “experience” wasn’t always the case. Sameness used to dominate the hospitality industry, in both interiors and services. When we started designing hotels and resorts in the 1980s, hotel chains — like fast food chains — thought consistency of product was paramount. Clearly, there are tremendous business efficiencies to be gained, straight to the bottom line. The industry’s business experts famously characterized hotels as money-making machines, operating with precision, cookie-cutter style. Public relations promoted the value of consistency: the guest experience would be the same no matter where in the United States or abroad, a predictable comfort to weary travelers. Brand loyalty surged. Frequent traveler points became popular. Design was secondary to brand standards. The guest experience was rarely unique since it wasn’t supposed to be. At that time, hotel operators sought to deliver a sense of being at home while away. That has evolved dramatically. Many of today’s travelers are looking to get away from home. They seek new living, working and dining experiences they don’t have at home, whether traveling for business or pleasure. People want to be surprised. They crave opportunities for new experiences. 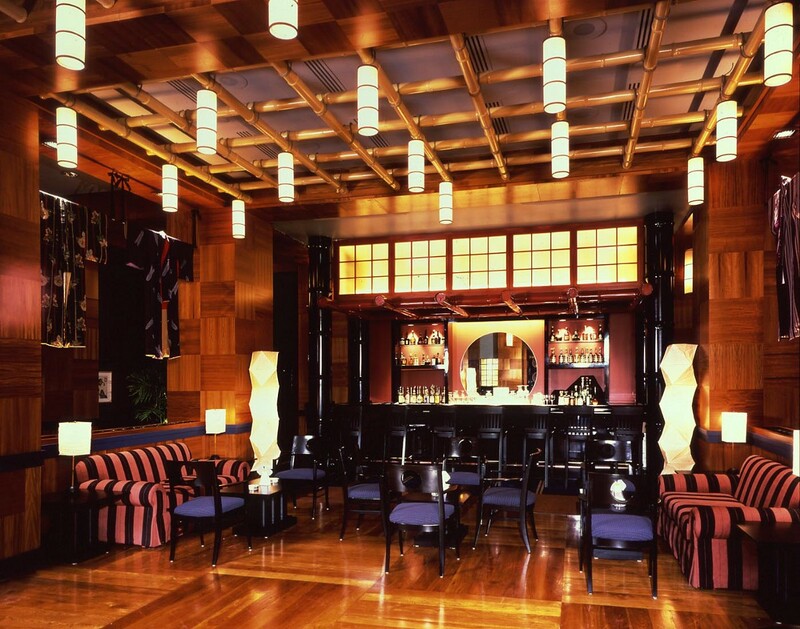 Unique travel experiences took hold when exciting interior designs for boutique hotels and themed interiors were pioneered in the late 1980s and early 1990s. At first, there were just a few eccentric examples. 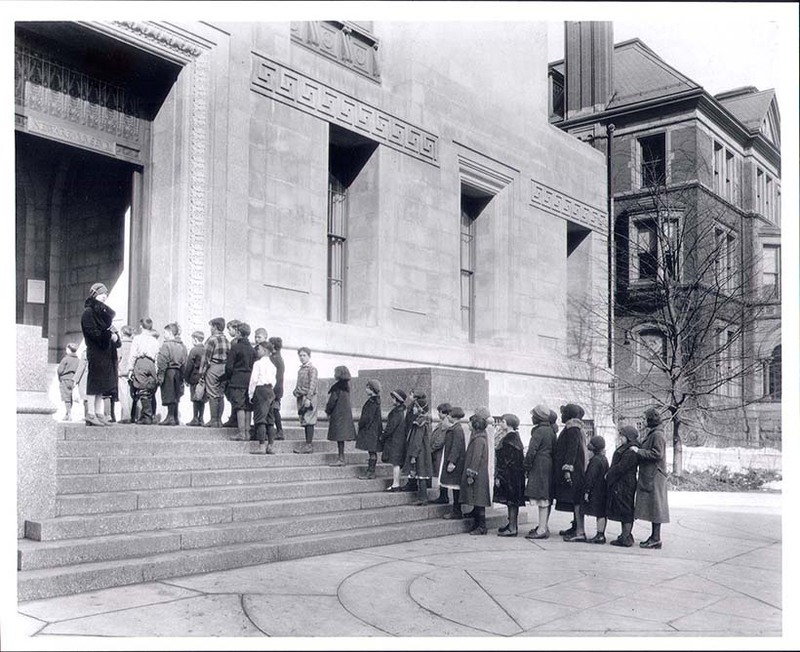 Before long, everyone in the hospitality industry was influenced by boutique hotels and the industry was transformed. Bold and customized designs were much more attractive than standard ones. This phenomenon occurred not only in hotels but also in signature restaurants and affected both the design and the services. In the digital age, the physical environment does not have to be predictable, but robust Wi-Fi and reliable cell phone coverage are absolute requirements. Today’s travelers appreciate environments geared to wellness, good food, and concierge services — from pet-friendly services to Zip Cars. There is an explosion of these ideas to the point that the diversity of choices is remarkable. What an opportunity for developers, operators and designers! 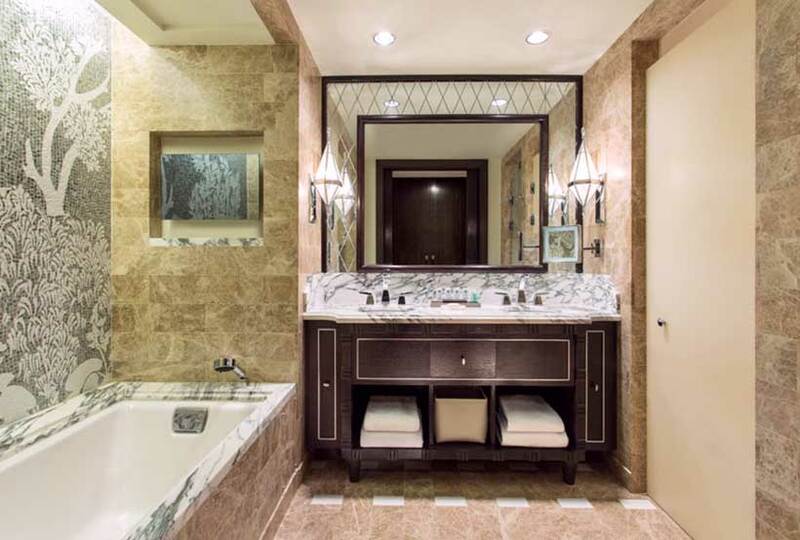 I also find that travelers appreciate attention to thoughtful details, especially in guestrooms and their bathrooms. How light falls on the mirror, where to store toiletries neatly, furniture that works with portable technology all matter, down to inches. When those details are done well, we have a better experience. · An urban hotel in Cairo opening in 2019 that balances modernity with traditional motifs to create a luxury experience. Character is important in architecture and interior design, especially in hospitality projects, because it communicates the identity of a place, its personality. Character might be inspired by the history and physical context, but it can also be inspired by a fabricated experience, which coincidentally may be no less authentic. 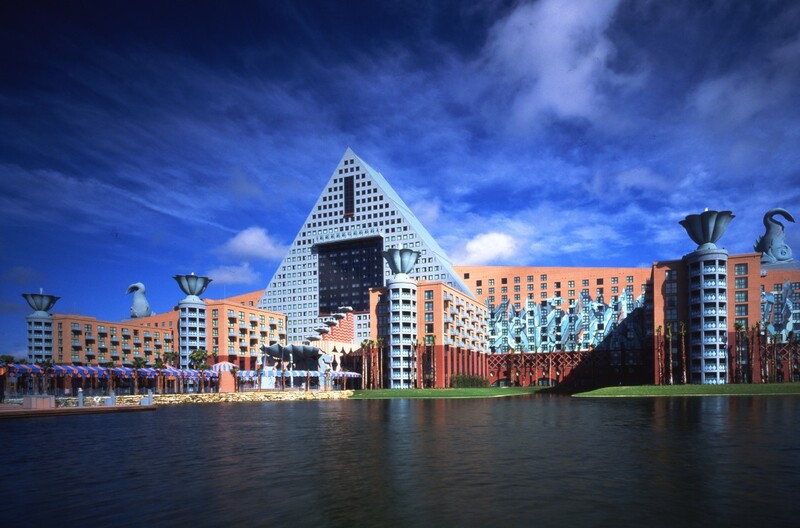 An example of the latter is the Walt Disney World Swan and Dolphin Hotel complex in Lake Buena Vista, Florida. For its time, it created an interactive and immersive experience. Children could jump from beach blanket to beach blanket along the guestroom corridor carpet. Conventioneers passed through groves of artificial palm trees to enter ballrooms filled with gigantic flower motifs. The hotels surprised everyone who expected a standard large-scale complex with over 2,000 keys and the fifth largest convention complex in the Southeast operated by standard flags. Instead, these hotels were associated with an entertainment company that saw value in entertainment architecture. They were meant to provoke fun and delight. Boutique hotels and themed restaurants were just being conceived at this time and our designs became a large-scale version of a growing trend. The complex was authentic in that it fit with the neighboring theme parks and sustainably managed the site’s land and water, but it was largely a grand experiential invention. While we always strived for designs that fit the surrounding context, we learned a valuable lesson about experiential design in a series of coastal resort commissions in Egypt. Although the Miramar was completed years ago, we have just renovated it within the same imaginative spirit but with today’s eye. Michael Graves and I were invited to Egypt to see a site on the Red Sea in El Gouna. We were invited, as it turned out, because the developer liked an Art Deco-inspired apartment building that we designed in South Beach Miami. What the client had been building in Egypt were modern hotels that were somewhat “Mediterranean” but mostly they were generic midrise blocks on the beach. They looked like they could be anywhere in the world, even Miami. On our way to see the site, we passed through small Egyptian towns built for local workers servicing the hotels. They were charming villages, low in scale, built using local vernacular construction techniques with stuccoed handmade brick walls and roofs of brick vaults and domes. We were inspired to create a hotel experience that was just as authentic. Most of the guest audience came from Europe and we sought to create a resort experience that was specific to Egypt. We also realized that creating even a low-rise complex on the beach meant that only a few guestrooms would enjoy water views. We therefore created waterways, lagoons and garden courtyards throughout the site, ensuring that the guestrooms were always oriented to water or landscape. Now that the vegetation is fully grown, the experience is one of literally being immersed in nature surrounded by architecture inspired by local vernacular. Recently completed, this 3.5-million-square-foot integrated eco-resort in the leisure island of Sentosa in Singapore is a destination attractive to families and people of all ages. The intention was to provide obvious public value beyond the large-scale casino that is the development’s economic engine. The attractions — from theme parks to a maritime museum and an aquarium — were each intended to be interactive and immersive. Given Singapore’s location and historical relationship with the sea and trade routes, facilities related to maritime history and marine ecology dominate the experience. To create variety, the brand positioning and interiors are different in the six boutique hotels, the world class ESPA spa, the many food and beverage outlets (we designed 14 of them, all very different) and the theaters and entertainment venues throughout the resort. What would give the resort its sense of place? The natural characteristics of the site and climate. 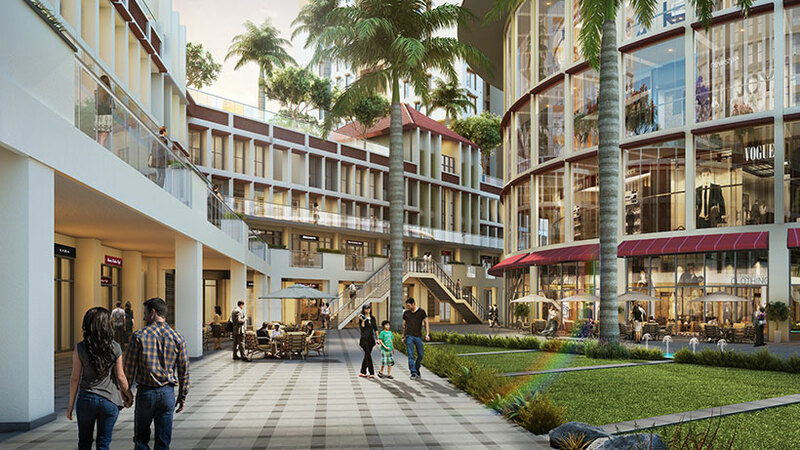 The site is located on the waterfront of a tropical island at the base of the steep hills of a heritage forest. Here, architecture and landscape converge to create a special sense of place, a getaway from urban life. We managed the hot and humid, and frequently rainy climate by creating open-air but covered walkways throughout the site. These and other intermediary spaces between the indoors and the open air allow people to be comfortable in all weather conditions and reinforce the atmosphere of being in a resort. 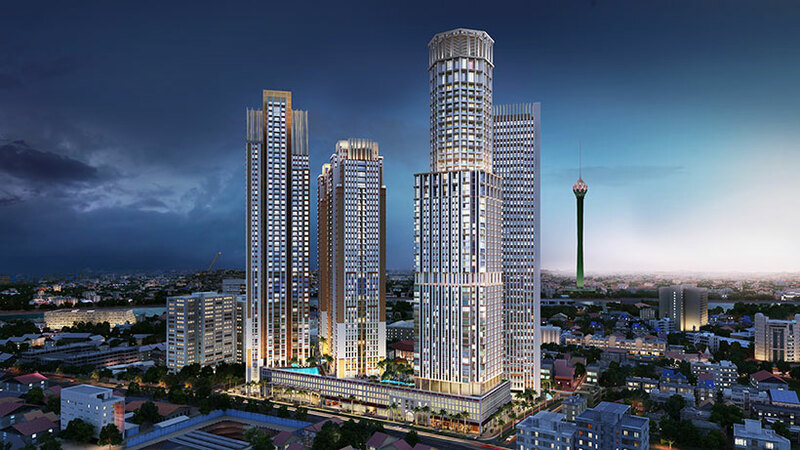 Nearing completion and set to open in 2019, the 2-million–square-foot mixed-use complex known as Nile Corniche marries the sophistication of the storied St. Regis hotel brand with custom décor using materials and motifs authentic to the region. From the exterior facades to the public interiors and guestrooms, the character balances traditional Egyptian motifs with contemporary international flair befitting the hotel’s location and its flag. The hotel is both cosmopolitan and local, creating an imaginative experience unique to its city and site. In the recent panel discussion involving experienced designers and emerging professionals at Design Connections, Patrick Burke, AIA and Austin Crowley exchanged their respective viewpoints. 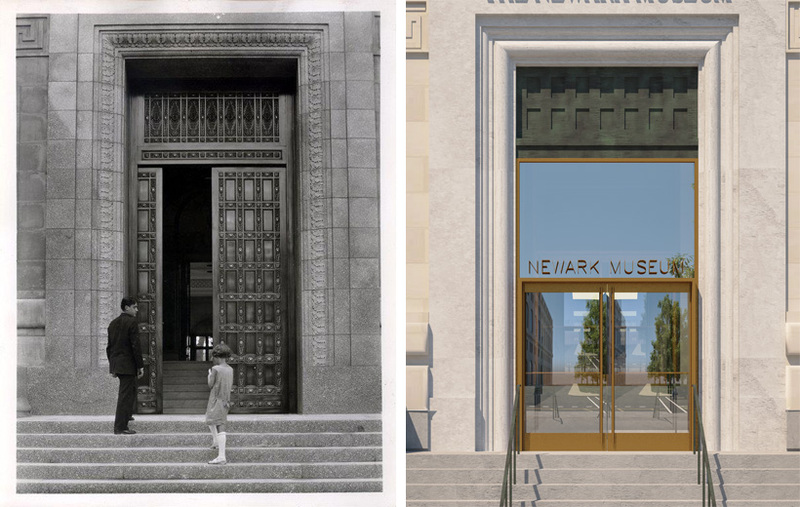 The audience appreciated their insights and complemented how the culture of Michael Graves Architecture & Design brings different generations of designers together as one team. Here is an excerpt from the conversation. Moderator: What is your experience with mentor/mentee relationships and what do you think is important? Patrick: For better or worse, we all rely on our own experiences about how an architectural practice works. When I was an emerging professional working in an office in Chicago, the senior partner mostly stayed in his private office and shared his knowledge on a need-to-know basis. With him, we draftsmen felt that we were just doing a task and had no context for decisions. There were two other partners who sat in the open office with the rest of us. As they explained project decisions to us in detail, we learned about architecture and felt part of the conversation. I run my studio like those partners, gathering my staff around to tell them about a meeting or trip, or set up the context for the design work. This way, they can more easily understand what makes a 5-star luxury resort different from a 4-star business hotel, for example. And, beyond the project, what you need to know about working in one country or culture versus another. 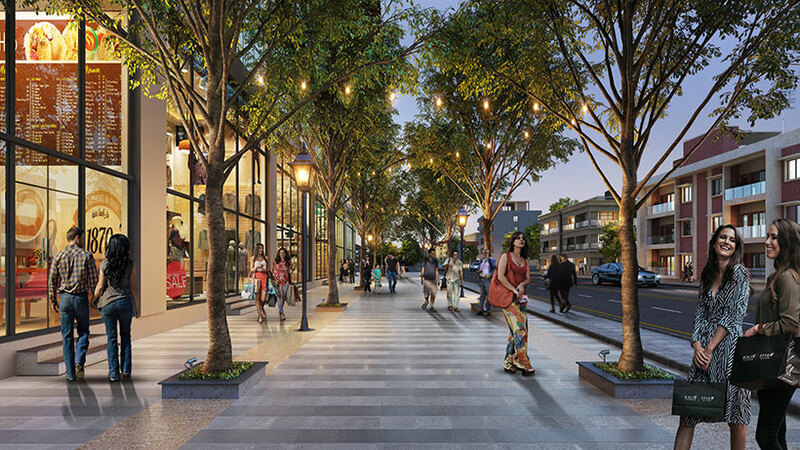 This of course applies to local customs but even effects the definition of a building type: a mall in Asia is night-and-day from one in America. I want the people on my team to learn how to make good decisions that incorporate many disparate and sometimes conflicting factors. Austin: Since not everyone can travel to our firm’s projects, it’s invaluable to get Patrick’s detailed downloads after every trip. I’m personally invigorated by sitting in an open studio with designers of varied backgrounds and experiences. The transparency of decision-making means that I’m fully engaged as a team member on the projects I’m working on. That’s amplified by the indirect learning that occurs by overhearing about projects that I’m not working on. Moderator: You’ve just described how the experienced designer mentors the emerging professional. What do the older designers learn from the younger ones, especially since they’re likely more versed in technology and social media? Patrick: For someone who still draws by hand, I was initially just grateful for the younger designers’ knowledge and ability to put project information into the computer so that it can be manipulated and turned into renderings. However, with more sophisticated tools, the several generations of designers in our firm are now collaborating more directly in design and adding their ideas to the design discussion. 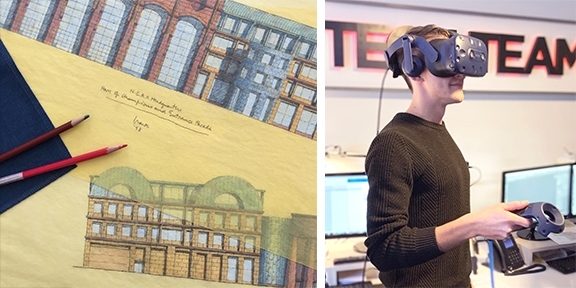 Austin: As a co-founder of the firm’s “tech team,” I have been able to weigh in on visualization and collaboration tools that make the design process faster and more effective for everyone. It’s no longer the case that a sketch was turned into a CAD file and then developed into a 3D model that would be rendering for many hours. We’ve cut some steps out of the process. Since we go so quickly to three dimensions in programs such as Lumion, the design team starts to visualize the building or space quickly and can see new possibilities right away. Basically, we are now designing in three dimensions and everyone — no matter the level of experience — is a participant. Patrick: This is truly a collaboration in the best sense, and the result is rewarding for all levels of staff. It’s also exciting for our clients. 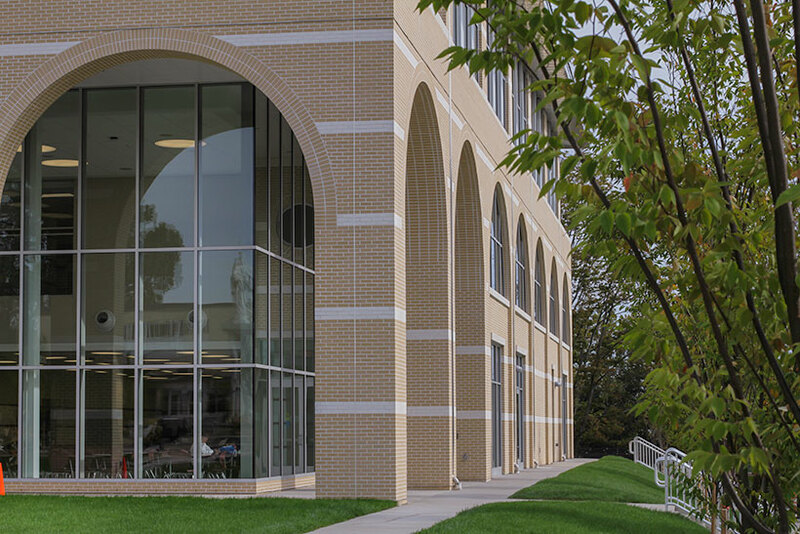 Austin: We are also using digital collaboration tools like Bluebeam® Studio to their best advantage. It’s so easy to mark up a drawing in real time, color code which consultant is making the comment, and sharing it out to the team. This is an efficient tool not only during design but also during construction documents and construction since it simplifies communications and tracks comments in plain sight for everyone to use. It has helped me learn about the technical side of architecture in addition to design. Though technology will continue to gain complexity and transform our industry however, we need to remember to think like designers, not computer programmers. This is especially necessary for the younger generations entering the profession. Though technology will continue to gain complexity and transform our industry however, we need to remember to think like designers, not computer programmers. Moderator: How do you build camaraderie among members of the staff? Patrick: While gatherings, games, drinks and meals are all good for team culture, I have found throughout my career that genuine, long lasting camaraderie comes from working together to achieve common goals. Working hard and succeeding in accomplishing difficult things as a team develop strong bonds. 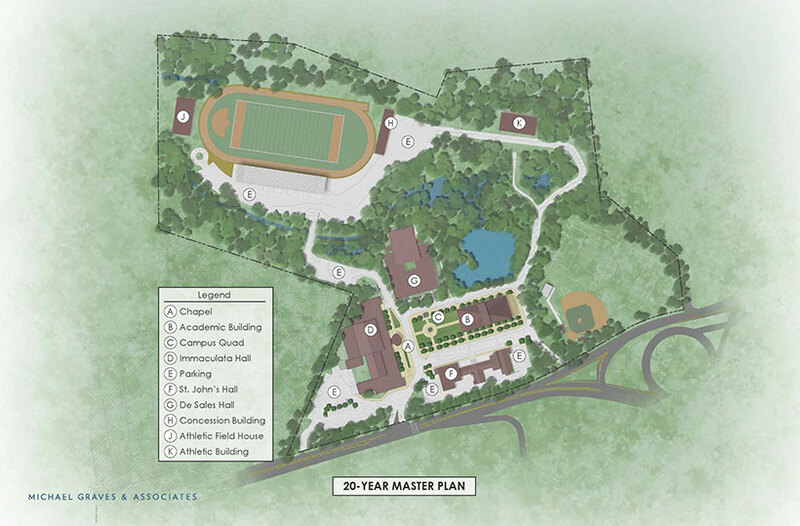 Austin: Because camaraderie is such a part of MGA&D’s culture, whether we’re socializing or enmeshed in a project, it helps build bonds across all generations and lets us younger ones into the conversation. The AIA-CNJ 2018 kick-off event will be held on Feb 27 at Eno Terra, 4484 Route 27 in Kingston, NJ from 6:00pm to 8:30pm and will be open to both members and non-members of the AIA-CNJ ($40 for Non-AIA-CNJ Members). Seating is limited, you can RSVP to aiacnjevents@gmail.com by February 16th. Please contact Sean Cuddahy: 609-791-7269 with any questions. 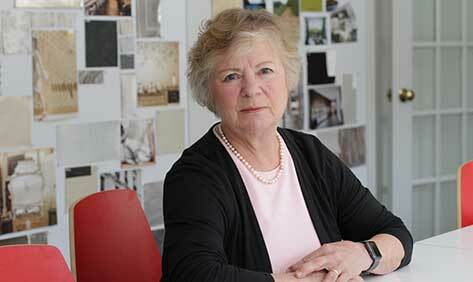 With the firm since 1977, Karen Nichols has been an integral member of multiple project teams. 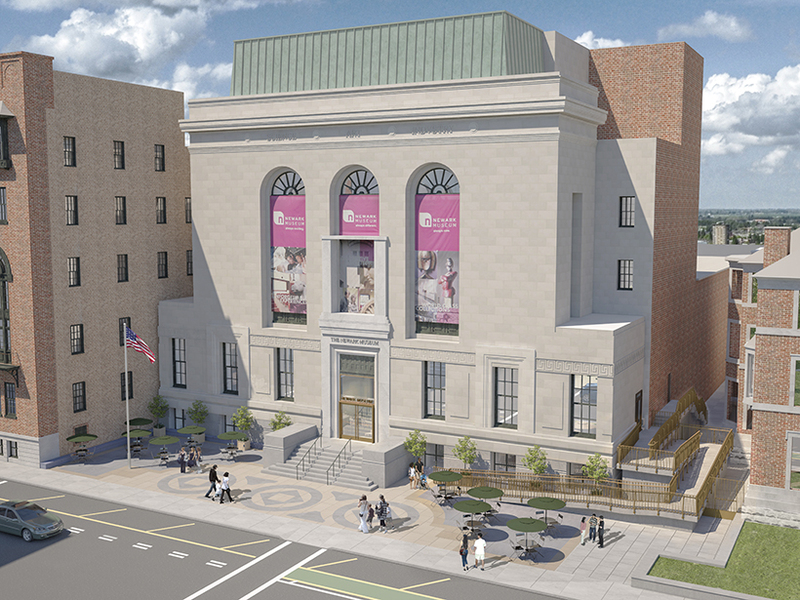 She was the Principal-in-Charge for the renovation and expansion of The Newark Museum in Newark, New Jersey, the master plan of the Detroit Institute of Arts, and the Riverbend Music Center in Cincinnati, Ohio. 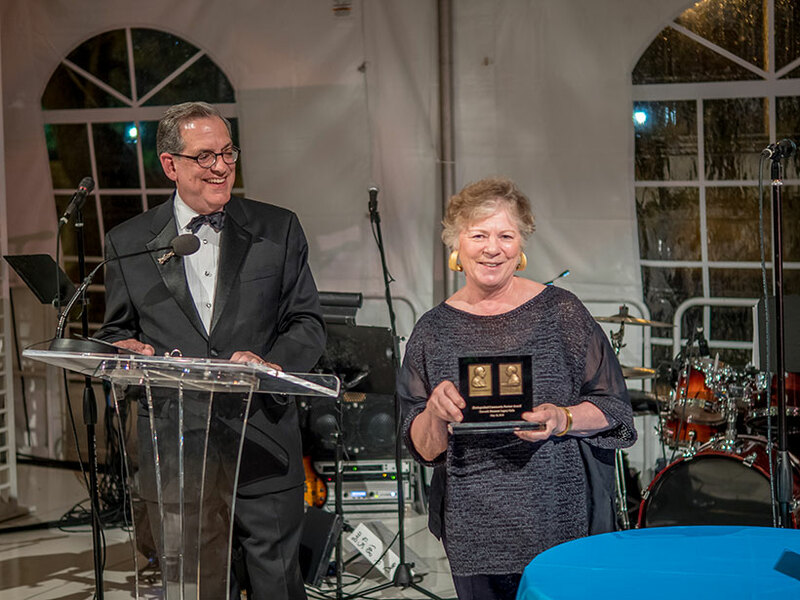 In 2003, Karen was elevated to the American Institute of Architects College of Fellows, in recognition of her outstanding contributions to the practice of architecture. 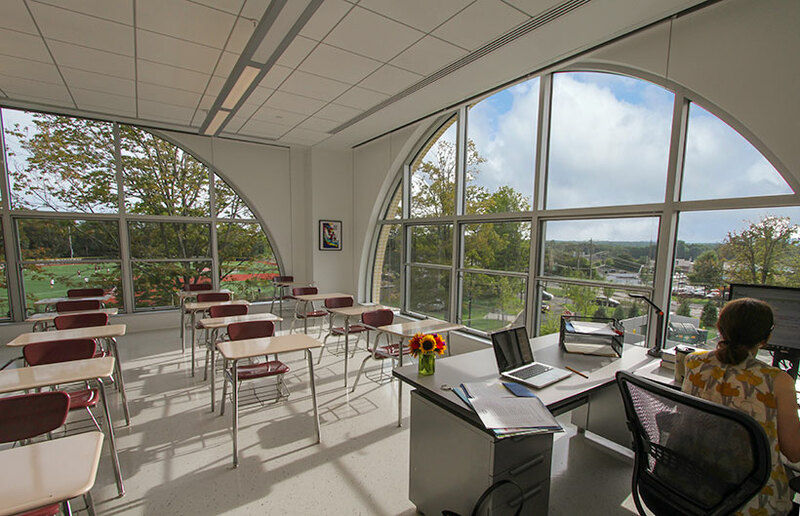 Karen sits on the NJIT School of Architecture Board of Visitors. She has designed more than 35 exhibitions, and has edited seven monographs on the work of the firm. Since its ground breaking 36 months ago, progress on the record-breaking Statue of Unity project has made significant headway as site work, infrastructure and construction of the monument itself have all taken shape. 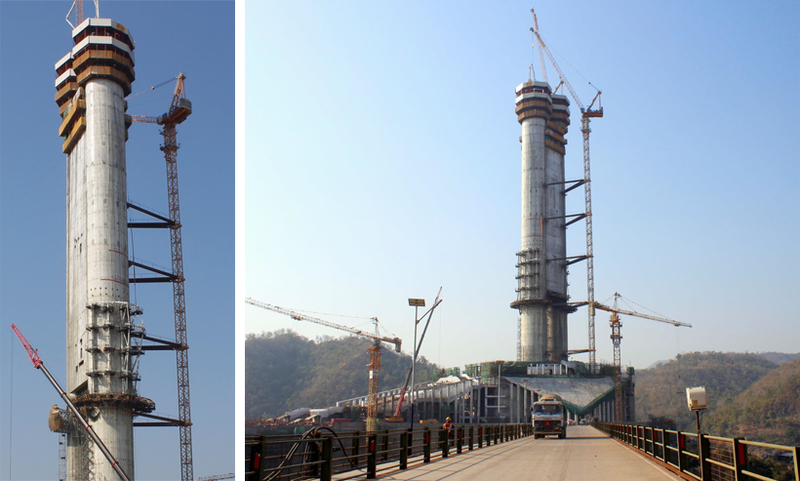 MGA&D, the Design Architect and member of a multi-firm consortium tasked with delivering the project, is responsible for design and construction oversight of what will be, when completed, the tallest statue in the world – The 182 meter tall Statue of Unity. 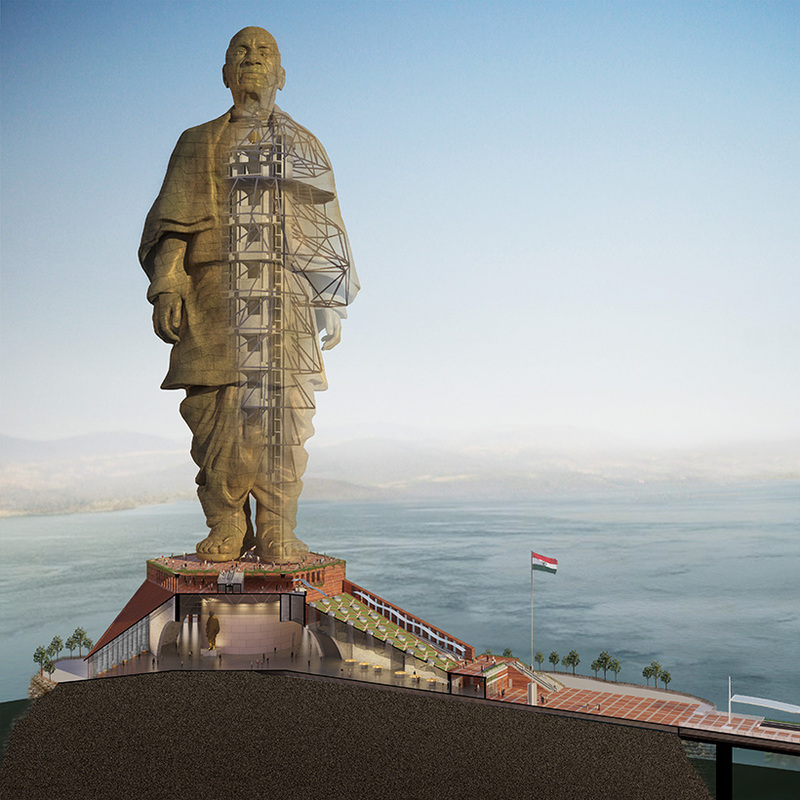 The statue is being built at the Sadhu-Bet Island, approximately 3.5 km south of Sardar Sarovar Dam in the Narmada district of Gujarat, India. A significant portion of the project entailed engineering and significantly reinforcing this rocky outcrop in the middle of the Naramada river bed in order to accommodate the massive sculpture and the base on which it sits which will, when complete house visitor services, and a series of display halls dedicated to Saradar Patel, the history of India’s struggle for and ultimate achievement of independence, and the construction of the statue itself. Of note is that Sadhu-Bet Island is not currently an island; it was an island prior to the construction of the Sardar Sarovar Dam, upstream some 3.5 km from the site of the Statue, and it will be returned to its island state via the construction of a downstream weir that will serve to aid in the control of the flow of the river and provide the 6 m rise in the waters of the river to submerge enough of the river bed to make the island a true island once again. The above section of the statue shows the structure of the statue itself as well as the building beneath. Rising waters, are in fact, a superb metaphor to the life and work of Vallabhbai Patel, in whose likeness the statue has been formed, and to whom its construction is dedicated. Vallabhbhai “Sardar” Patel was a prominent statesmen and social leader best known for his role in India’s struggle for independence and the state-building effort that followed. Sardar Patel grew up in the countryside of Gujurat State, first practicing law prior to becoming one of the preeminent political and social leaders in India’s history. It is in reverence to the immeasurable contributions of Patel that Prime Minister, Nahendra Modi has spearheaded the effort to erect the monument to the man and his accomplishments. Pictured above is the primary steel erection that serves as the core access within the statue. In addition to the statue itself, MGA&D designed the master plan for the entire project, including the phased development of a hotel, convention center, memorial garden, visitor’s center, a quarter mile long bridge connecting the visitor center to Sadhu Island and the statue, and miles of roadways and bridges that connect the statue to the town of Kevadia. Birdseye view of progress to the Statue of Unity construction. After a much-anticipated completion of the foundation and reinforcement of the Sadhu Island rocky outcrop, the full silhouette of the statue is taking shape. Once completed, it is anticipated that The Statue of Unity will become a highly sought and prominent travel destination for both domestic and international audiences. 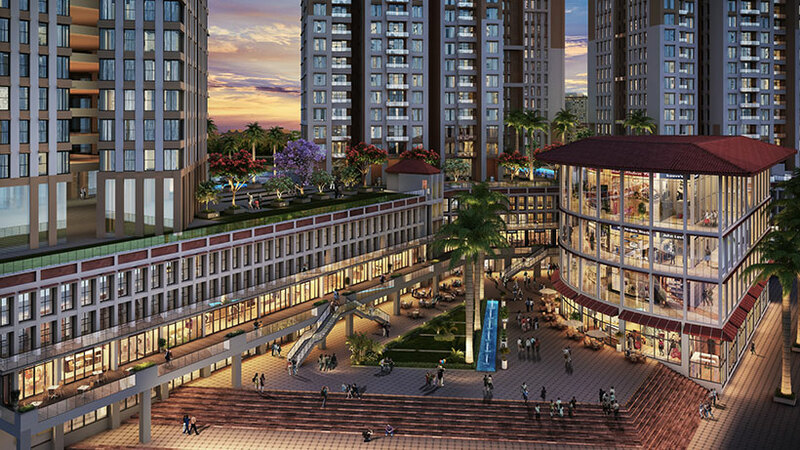 The project will provide an engaging and memorable experience which will include architectural and experiential features such as a visitor’s center with cable suspended stretched skin canopy, interactive museum, expansive food and beverage market and a breathtaking viewing deck 160 meters above the waters of the Narmada River. 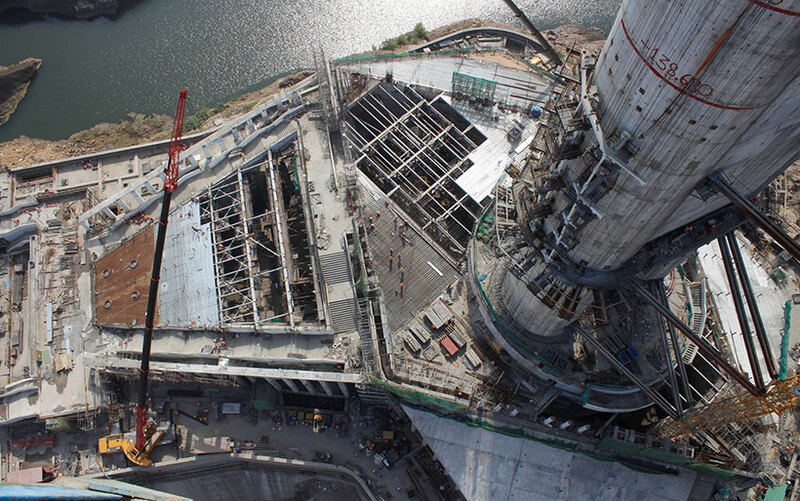 A notable construction milestone has been reached in the completion of internal twin concrete cores, thus meaning the main structural support is now complete. The twin cores will serve as both primary vertical circulation and structural support. Completion of this work has paved the way for commencement of the erection of secondary structural steel scaffolding which will serve as the support system for the individual bronze panels. The broze cladding process has begun. Artist and sculpture, Ram V. Sutar, first modeled the Statue of Unity as a 30-foot tall “miniature” version in his workshop. From this model a full-size digital model of the sculpture was realized, an intensive process of translation which required the skilled hand and eye of sculptors and fabricators well-versed in the manufacture of massive statuary. This model was then divide into roughly equal sized to form the outer “skin” of the 466-foot tall statue. The exterior of the statue will consist of a series of cast bronze segments called micro-panels. 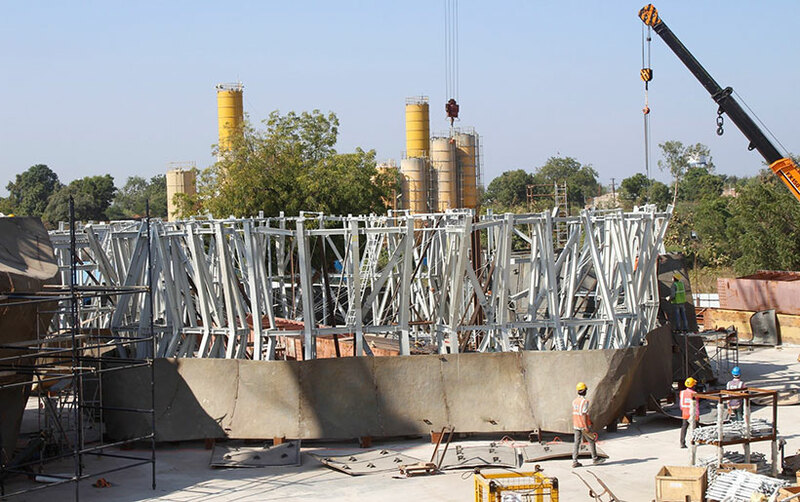 The micro panels are arranged in a series of rings that are supported on the structural steel scaffolding that will be hung from the internal twin concrete cores. These rings are first tested for fit at a nearby mock up area; they are first assembled on the ground to form a complete ring (as seen in the image below) to allow workers to make final adjustments prior to craning the pieces into place. Once the section is measured, adjusted and approved, the panels are separated into manageable sections and lifted one by one into place. Documented here is the erection and final placement and installation of the first micro-panel. The final placement and installation of the first micro-panel. The primary viewing area will be located in the chest of the statue, providing not only panoramic views, but the opportunity for visitors to experience and explore the internal structure of the statue and to witness first-hand the detailing of the micro panels and their assembly. The observation deck and will provide sweeping, picturesque views of the nearby Sardar Sarovar Dam, Narmada River, as well as the lush Shoolpaneshwar Wildlife Sanctuary that surrounds the site and extends for miles around. We look forward to watching the statue develop and take form as the final portions of construction are finished. 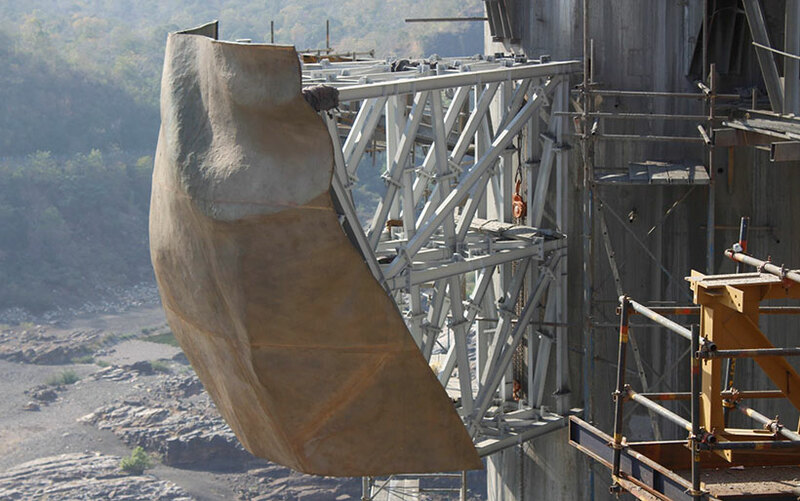 The Statue of Unity is scheduled to be completed in 2018, we are eagerly anticipating the final product. The St. Regis Cairo, the brand’s flagship property on the African continent, is slated to be Cairo’s most luxurious address. The project, designed by Michael Graves Architecture & Design, is one of nearly forty new luxury properties set to open in 2018 under the Marriott umbrella. 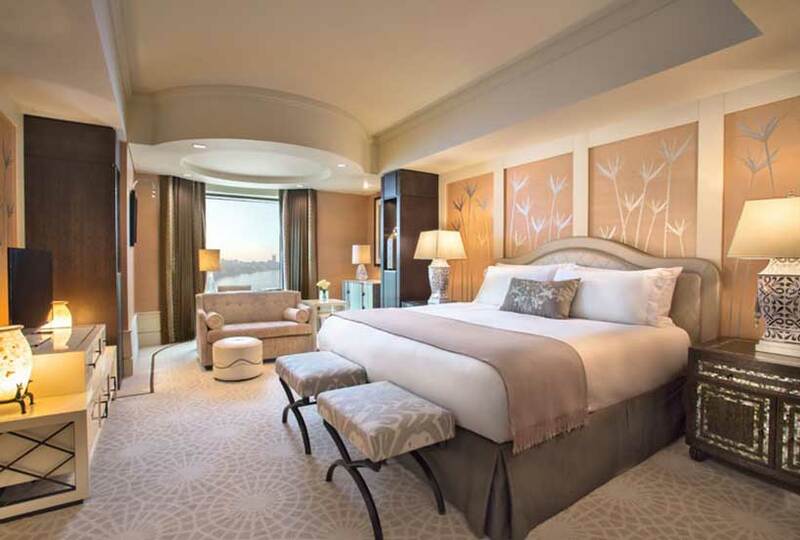 The nearly 40 new hotel properties coming in 2018 span the hospitality giant’s eight distinct luxury brands—The Ritz-Carlton, Ritz-Carlton Reserve, St. Regis, W Hotels, The Luxury Collection, EDITION and JW Marriott. 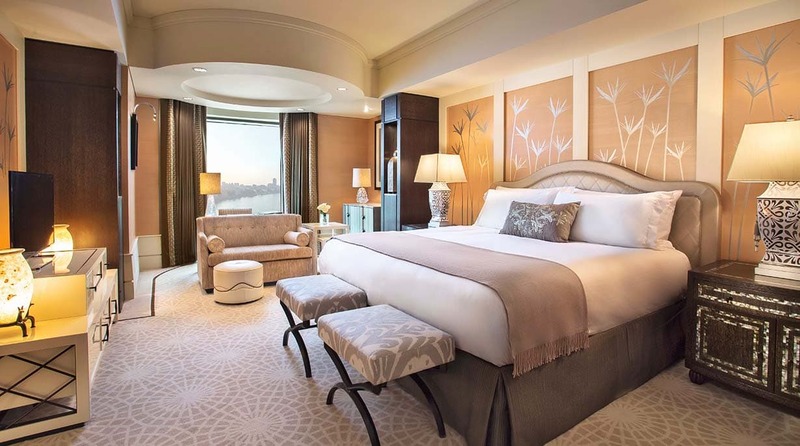 The six-star St. Regis Cairo, is perched on the bank of the majestic Nile River and offers glorious views of the ancient waterway and vibrant city through which it courses. Offering a distant presence in the city’s skyline, the project is composed of a 37-story tower that was designed to maximize the seductive views along the Corniche, provide state-of-the-art accommodations, and support St. Regis’ goal of providing intuitive and truly bespoke hospitality experiences. While contemporary and chic in design, the character of the architecture and the interiors recall Arabic motifs and features that include the use of screens, echoing the traditional mashrabiyas of traditional Arabic architecture, arched and vaulted forms, and roof gardens accented by gurgling water features which serve to physically and psychically cool those who partake of the spaces. 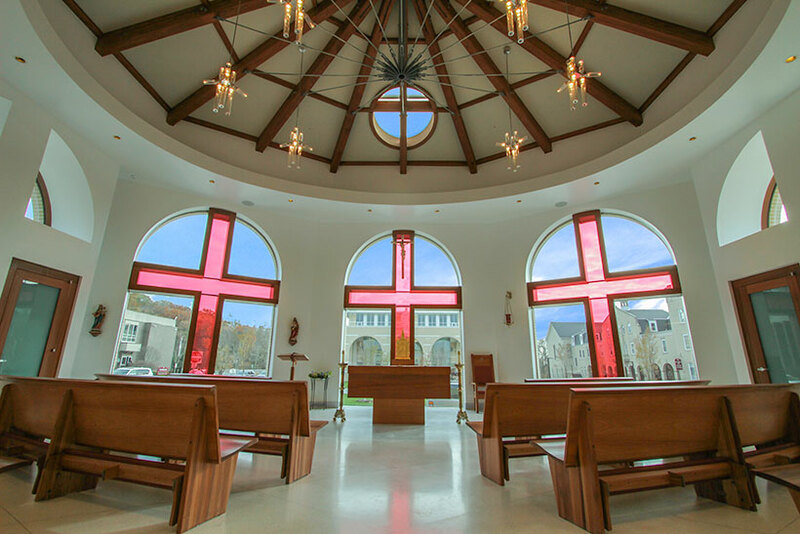 This property is the embodiment of Michael Graves Architecture & Design’s philosophy rooted in unique designs that reflect their physical and cultural contexts. The St. Regis Cairo combines contemporary luxury and elegance with regional influence to capture the spirit of the city and region and provide an experience for guests which will be forever, indelibly etched in their memories.